Media channels are slowly picking up on what we are learning from the ColaLife trial in Zambia and there have been a range of reactions – from broadsheet to tabloid in that order. The backdrop to this is that the use of the unused space in Coca-Cola crates is not the enabler we thought it would be in getting our anti-diarrhoea kit – Kit Yamoyo – to remote rural areas. Simon first reported that retailers were buying our kits by the box full in February. And then in May we mapped out where we thought the real innovation lies within ColaLife in this post: The ColaLife Innovation Map – Take 2. It turns out that the real enabler isn’t the space in the crates it’s the space in the market for a well designed anti-diarrhoea kit. 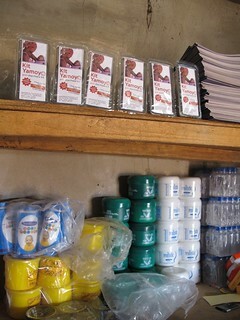 The key to the high sales and use of the Kit Yamoyo lies in the end-to-end value chain we have created (just like Coca-Cola do). There’s more on that here. The fact that our kits fit in a Coca-Cola crate is a ‘feature’ not a ‘benefit’ for our target group – poor women with a sick child in rural Zambia. Many of these [ColaLife] supporters would be surprised to learn that, to date, virtually no kits have been transported in a Coca-Cola crate. I have to say Simon though, this is a bit of a con, you got this award for the design product of the year, very ingenious, very clever, because it fitted into a crate of bottles. You’ve abandoned the crate of bottles distribution now, so it comes in very conventional, ordinary packs. You’re nothing to do with cola now. In other words, the design is almost incidental. You can listen to Peter Day’s 30 minute feature on our work here. Peter wasn’t totally correct. Eye catching though it is, we didn’t win the award just because our kits fit in Coca-Cola crates. 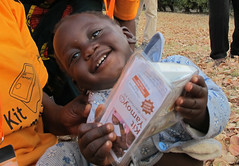 We won it, because in addition to this, the kit had been meticulously designed with poor mothers to meet their needs. It fits in crates, yes. But it is also contains appropriately sized ORS sachets and the packaging acts as the measuring device for the amount of water you need, the mixing and storage device and a cup. Let’s deal with the accusation of failure first! Although only a small proportion of the retailers put the ColaLife kits in crates, they did buy 20,470 in the first 6 months from a standing start. Before we started 0% of children who got diarrhoea in our target communities received the recommended treatment – ORS and Zinc. At the 6-month point 42% did. This treatment was recommended by WHO back in 2004 and adopted by most governments shortly afterwards but it’s still not getting to the people who need it. These 20,470 kits probably saved around 50 lives. Is ‘fail’ is an appropriate word to use in these circumstances? 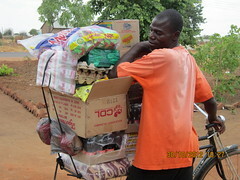 In remote rural areas in Zambia, fitting in the Coca-Cola crates ended up being a ‘feature’, not a ‘benefit’ to mothers. We’ve been working with our packaging partner – PI Global – on this for some time now and expect to release details of designs that maintain all the benefits of the existing Kit Yamoyo – measuring and mixing device, storage device and cup – but the new designs will not fit in Coca-Cola crates. We will be making exciting announcements about this soon. Watch this space! It would be easy to stick with our award winning design but surely design is about meeting users’ needs. We have to absorb what we learn from users and use that learning to improve our design. We are here to save children’s lives and we will stick resolutely to this despite the fact that we may be accused of abandonment or failure! Cited data are interim results from the midline evaluation and do not reflect the final report. Final results of the ColaLife trial will be published in due course by Ramchandani R, et al. I listened to the In Business programme and was very impressed by Simon and Jane’s willingness to adapt to meet needs as they understand them. When it comes to distributing life-saving medicines there doesn’t seem a lot of point in fetishising a coke crate. With great respect and regards to these two tremendous social entrepreneurs. I would call this learning. Not failing! And as you point out, there are many innovations in your packaging, not just its shape. clearly the design of the product pleases end users, and is intuitive to use correctly. That is the point. It is possible that in a different country, with a different coke distribution community, the original design will still be useful, who knows? Good on you! You have not only recognized a need( children are dying needlessly), recognized an oxymoron in life, people can access coca cola mostly everywhere( which is not necessarily good for you), found a way to distribute a solution through coca cola (which ended up being a great advertising tool), developed an ingenious package( that too is a great advertising tool as kids like to drink from it and it is easy to use), learned the value chain ( and therefore are helping not just kids but Zambians by creating jobs), received a design award( which was totally deserved) and are teaching the rest of the world that Peter Drucker was right. There is no failure or abandonment here, just a venue for more conversation which is again advertising. You should be very proud of all that you and your team have done. I am. Probably, the team at some point (or at several points) had to take a decision: either stick to the original idea of the crates or stick to the goal of getting live-saving medicine to places where there aren’t any. Some call it learning, some call it iterative design, others call it failure. Personally, I congratulate the ColaLife team for the great work they are doing across all lines, from innovation to communication and delivery, being an inspiration for many others on their way. Go ahead ColaLife (or whatever your name will be in the future), and don’t be surprised to be criticized – with great success comes a lot of critique as well… cheers!